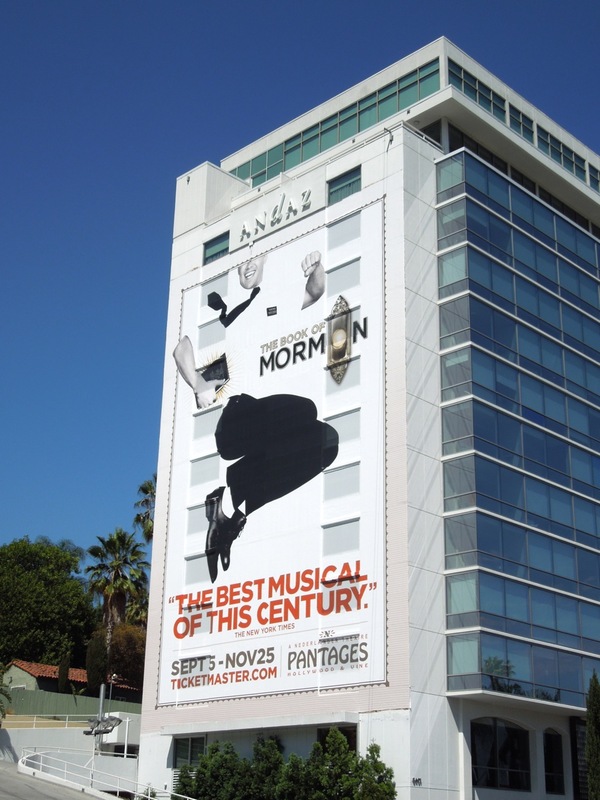 The Book of Mormon musical has come to L.A. and they want you to know it in a 'big' way. 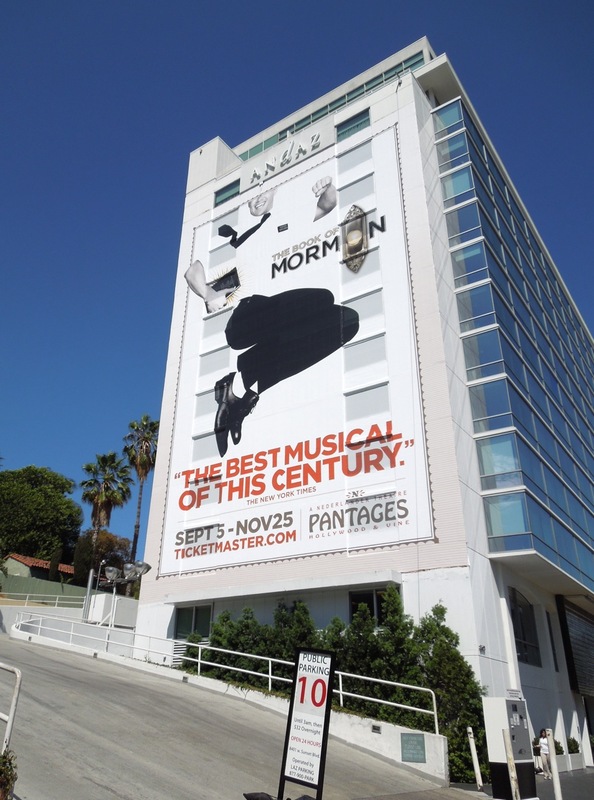 To encourage Los Angelenos to go see the touring version of the hit Broadway religious satire this super-sized billboard was spied on August 31, 2012, on the side of the Andaz Hotel along Sunset Boulevard in West Hollywood. 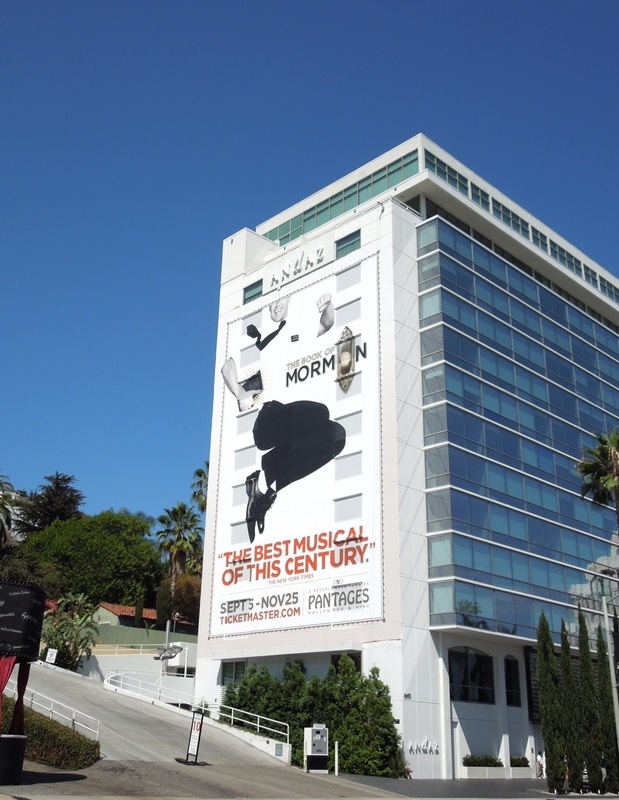 Winner of nine Tony Awards including Best Musical, The Book of Mormons comes from the fertile imaginations of the creators of the animated comedy South Park, who brought us such lyrical stylings as 'Mr. Hankey, the Christmas Poo'. 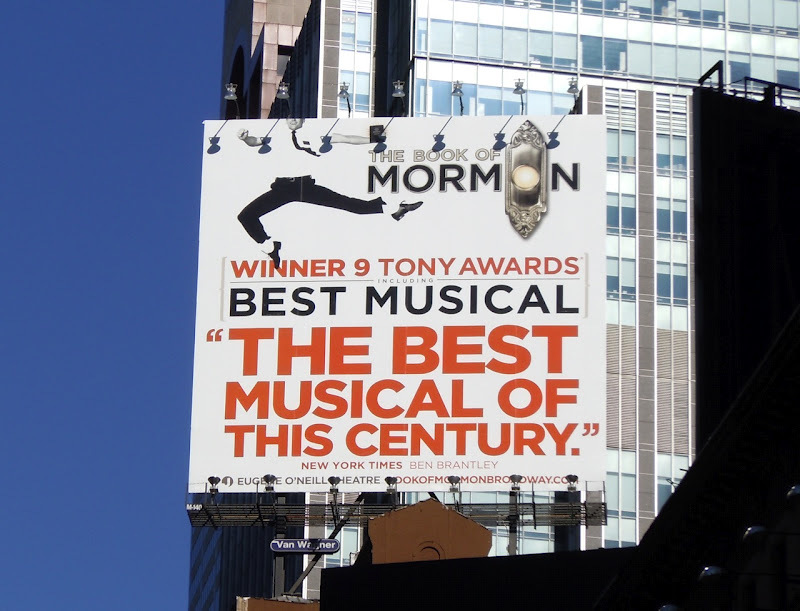 Opening on Broadway in March 2011, the billboard above for the sell-out show was seen flying high over New York's Times Square in November 2011. 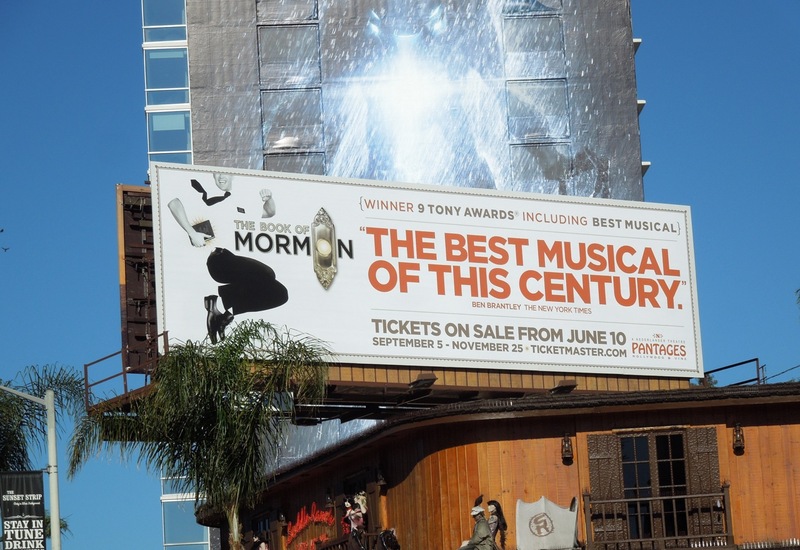 Meanwhile this standard landscape billboard appeared along Sunset Strip in early June 2012 to encourage local pre-bookings of 'The best musical of this century'. 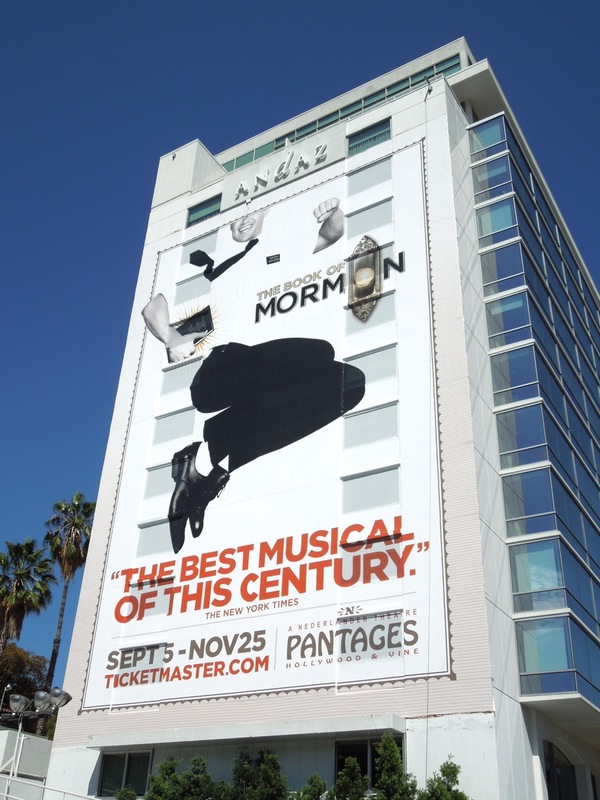 Daily Billboard totally believes the show, which makes fun of organized religion and traditional musical theatre, will pack the house and have the audience jumping with joy at The Pantages Theatre in Hollywood in the coming weeks.